Hi! For those of you who aren't familiar I'm Charlyne, and I've just joined Lighthouse Labs as Director of Career Services. I've spent the last 3 years in the Vancouver tech community, and am thrilled to be connecting our grads and alumni with the amazing opportunities available to them in Vancouver and around the country! One of the first things I've started here, and one I'm really excited about, is the Employer Speed Dating night. I've learned from the tech community that hiring a developer is about much more than technical capability - like any job, fit comes first. That's not something you can gauge from a piece of paper! We've got quality students from a wide variety of backgrounds, and we wanted to show that off! 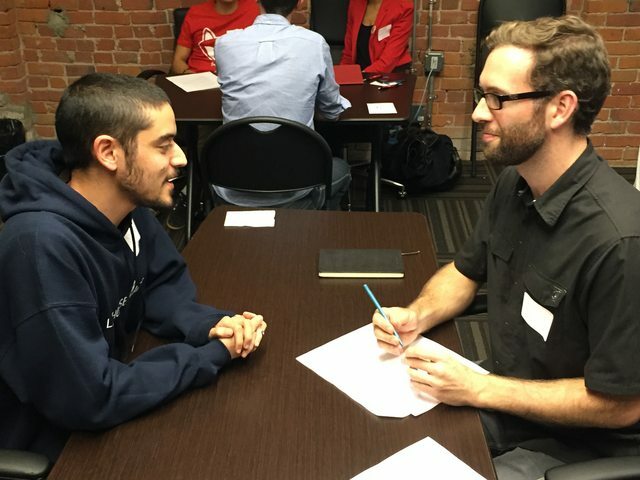 The Employer Speed Dating night takes place in Week 6 of our 8-week bootcamp, and this gives both students and companies a great head start on the employment process. Here's what makes it so valuable: when students and employers find a good match, the employer can inform the student of the technologies and outcomes they'd like to see if they were to hire them. This allows our students, if they wish, to cater their final projects towards that outcome! So for example, if one of our students hit it off with Foodee, Foodee might say to them "we use Ember.js in all our work, so we would love to see you build your final project in Ember.js" This gives the students a potentially massive leg up in securing a job once they're finished. 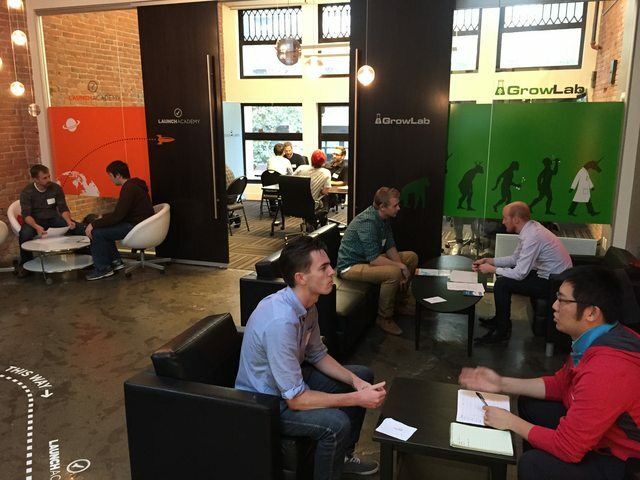 Our first Employer Speed Dating night happened October 6th, and it was a stirring success! We had representatives from over 10 different companies, including Hootsuite, MEC, and Telus, and our students rotated between them in 5 minute intervals. It really had a bit of a speed dating vibe as you could tell looking between tables which groups were really hitting it off. After everyone had mingled and met, both groups congregated in the kitchen for some great wine and sushi, sponsored by Freelancer! The employers who attended have now identified the students they connected with, and have begun the interview process for both co-op and full-time positions. In fact, 3 students have already secured offers before even graduating! Grads get jobs; companies get coders; everybody wins! 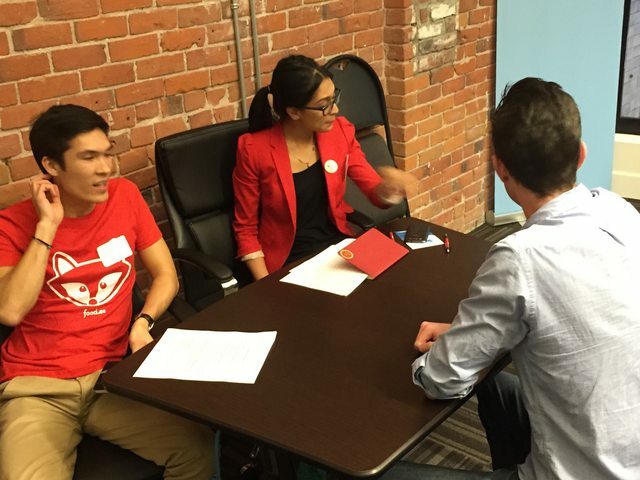 Reach out to Charlyne at charlyne@lighthouselabs.ca to be a part of the next Employer Speed Dating night!